Located in Istanbul (Sultanahmet), Best Western Antea Palace Hotel & Spa is within a 15-minute walk of Sultanahmet Square and Blue Mosque. This 4-star hotel is 0.7 mi (1.1 km) from Hagia Sophia and 0.4 mi (0.7 km) from Hippodrome of Constantinople. Make yourself at home in one of the 59 air-conditioned rooms featuring fireplaces and LCD televisions. Complimentary wireless Internet access keeps you connected, and satellite programming is available for your entertainment. Conveniences include safes and desks, as well as phones with free local calls. Relax at the full-service spa, where you can enjoy massages and facials. You're sure to appreciate the recreational amenities, including a 24-hour health club, an indoor pool, and a sauna. Additional amenities at this hotel include complimentary wireless Internet access, concierge services, and a hair salon. 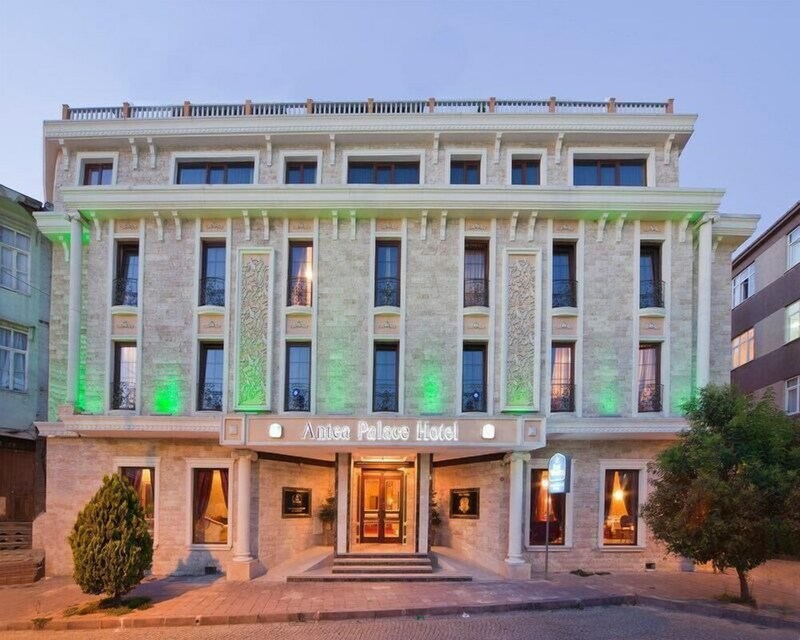 Enjoy Turkish cuisine at ANTEA PALACE RESTAURANT, one of the hotel's 2 restaurants, or stay in and take advantage of the 24-hour room service. Snacks are also available at the coffee shop/café. Mingle with other guests at the complimentary reception, held daily. Relax with a refreshing drink from the poolside bar or one of the 2 bars/lounges. A complimentary buffet breakfast is served daily from 7 AM to 10 AM. Featured amenities include a 24-hour business center, limo/town car service, and express check-in. Planning an event in Istanbul? This hotel has 753 square feet (70 square meters) of space consisting of a conference center and a meeting room. A roundtrip airport shuttle is provided for a surcharge (available 24 hours), and free valet parking is available onsite.